Characterized by the Philadelphia Inquirer as a “poet…[with] an expressive edge to his playing that charms, questions, and coaxes,” nineteen-year-old Daniel Hsu—a 2016 Gilmore Young Artist—is a fast-rising pianist who was recently named the First Prize winner at the 2015 Concert Artists Guild Competition. He has earned top prizes in numerous other competitions, most recently the Bronze medal at the 9th Hamamatsu International Piano Competition in Japan, and first prize at the San Jose International Piano Competition, Pacific Musical Society Piano Competition and San Francisco Chopin Competition. In June 2016, Daniel made his debut with the Philadelphia Orchestra and Conductor-in-residence Cristian Măcelaru at the Mann Center for the kickoff of the Mann Center’s 40th Anniversary season, and the Philadelphia Inquirer applauded his performance as “…worthy of great praise…,” adding that “…Hsu’s personality came through…he is a judicious dramatist careful not to overplay his emotional hand.” Featured concerto performances in 2016-17 include the Grand Rapids Symphony, New Haven Symphony, Roswell Symphony and the Symphonia Boca Raton at Florida’s Festival of the Arts BOCA. For the 2016-17 season, Daniel makes his Carnegie Hall debut on the Concert Artists Guild Competition Winners Series at Weill Recital Hall, and he also performs recitals on a number of other prominent series, including: Krannert Center for the Performing Arts; Pepperdine University Center for the Arts; Festival Napa Valley, University of Wyoming Cultural Programs; and Chicago’s Dame Myra Hess Concert Series. He also collaborates with fellow 2015 Concert Artists Guild Competition winners, the Verona Quartet, in a special program for Purdue University Convocations, Rockford Coronado Concerts (Chicago-area), and Market Square Concerts (Harrisburg, PA). WHYY’s On Stage at Curtis public radio and television program have broadcast some of Daniel’s recent performances at Curtis, including a highly acclaimed performance of the last three Beethoven piano sonatas with siblings Ashley and Andrew. Daniel’s performance of the Sonata, Op. 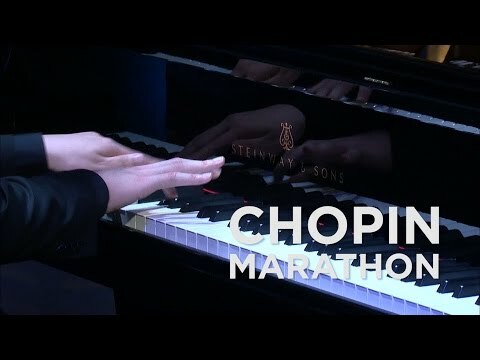 110, led the Philadelphia Inquirer to say: “He has great personality” and that “…he peered into corners of drama and impetuousness with his bright, large sound.” He also participated in WQXR’s June 2016 Chopin Piano Marathon at the Greene Space in New York City, which was live-streamed online. Recent recital highlights include the 2016 Gilmore International Keyboard Festival, Trust Performing Arts Center in Lancaster, PA, Keneseth Israel, the Curtis Institute of Music, and in Japan at the Tokyo Bunka Kaikan and ACT City Hamamatsu’s Concert and Main Halls. He also recently was a featured soloist with the Tokyo Symphony Orchestra, and in the US he has appeared with the El Camino Youth Symphony, Fremont Symphony Orchestra, Golden Gate Philharmonic and the Lansing Symphony Orchestra at Michigan’s Wharton Center (as part of the 2016 Gilmore Festival). A native of the San Francisco Bay Area, Daniel Hsu is the Richard A. Doran Fellow at the Curtis Institute of Music, studying with Gary Graffman and Eleanor Sokoloff. He began his studies at the age of six with Larisa Kagan and also studied with Hans Boepple, Erna Gulabyan and Olya Katsman before being accepted into Curtis at the age of ten. In addition to his musical endeavors, Daniel enjoys computers and programming. One of his many projects include contributing to Workflow, a recipient of the 2015 Apple Design Award, which has been praised not only for its design and technical innovation and creativity, but also for improving the experience of using mobile devices for visually impaired users. Schumann: Phantasiestücke for Piano, Op. 12, Warum?